Having shaken up the Hard Rock Hell’s private VIP party Collateral with their 4 Shots! Are read to shake not gently stir your speakers. The EP featuring their single Midnight Queen is a snapshot that cracks with the sting of determination whipped into shape by melodic rock. The foursome are ready to hit the stages and make some noise throughout 2019 and beyond. This is a visual act with torn jeans and cowboy hats, long hair and copious amounts of eye-liner. They are visually exciting when heard through the speaker you are rocking out before you know with this quartet of rockers that wants to fill stadiums and re-ignite the power of Stadium Rock à la Bon Jovi, Aerosmith, Little Angels and with a clap of Thunder. Yes, there is definitely a lot of hype around this young band. So letting the dust settle clearing my mind I listened to the EP 4 Shots! From the first listen I got the music this is rock that is accessible and pleasing to the ear. You are excited by the balanced and considered combination of Angelo’s vocals against Todd’s Guitar. Underlining the sound as striking as the eyeliner the boys wear is the rhythm section of Jack & Ben. The guitar riffs flow against the pounding drums, as you hear Angelo’s distinctive melodic vocals for the first time he sings “You might not know who I am, I Ain’t no disco queen” on the opening track Going With The Wind. Yes, he is correct for many it is the first insight into Collateral and we are now hooked by the sound and want some more. The vocals add style to the rocking background. The lyrics shape themselves effortlessly into the melody. Now for their first single, Midnight Queen, with a chorus that will soon have everyone singing this is rock anthem made for the radio. We are now getting the groove under our skin as they gather in our rock driven souls. For Angels Crying the tempo slows and the band explore the lyrics against some southern rock vibe melodies against the crescendo achieved by a chorus that fills and cascades from your speakers answered by a sharp stinging guitar break short and sweet as the vocals take over once again. Leaving you with the final track on the short but rewarding E.P; with an appropriately named Just Waiting For You. 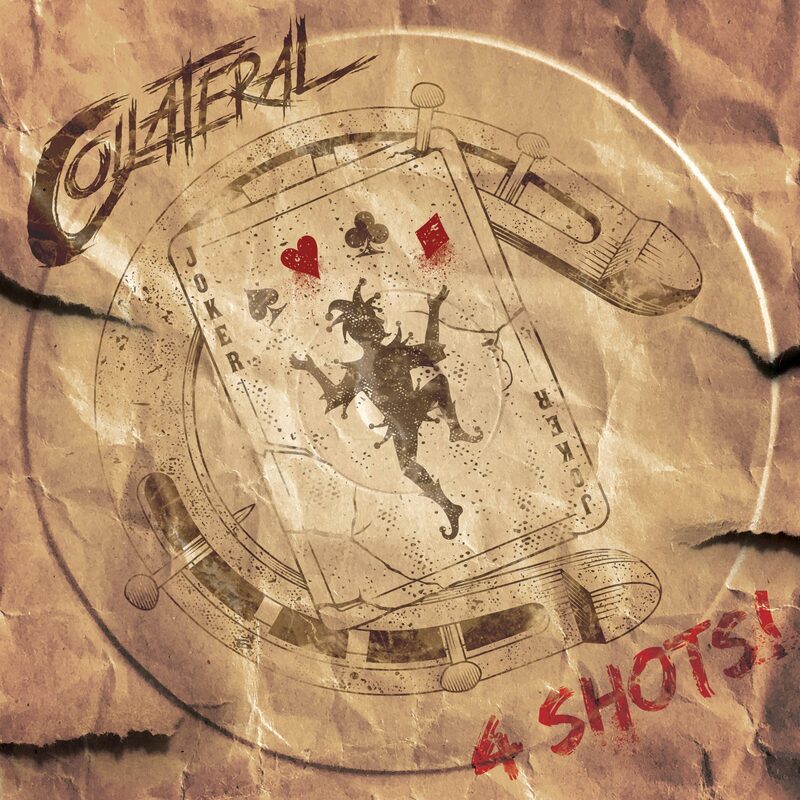 We certainly want to hear Collateral play live and then a full-length album please.